Okay let me first start by confessing...I hate hand painting activities. Like seriously despise it. It's just so messy, time consuming, and down right annoying. 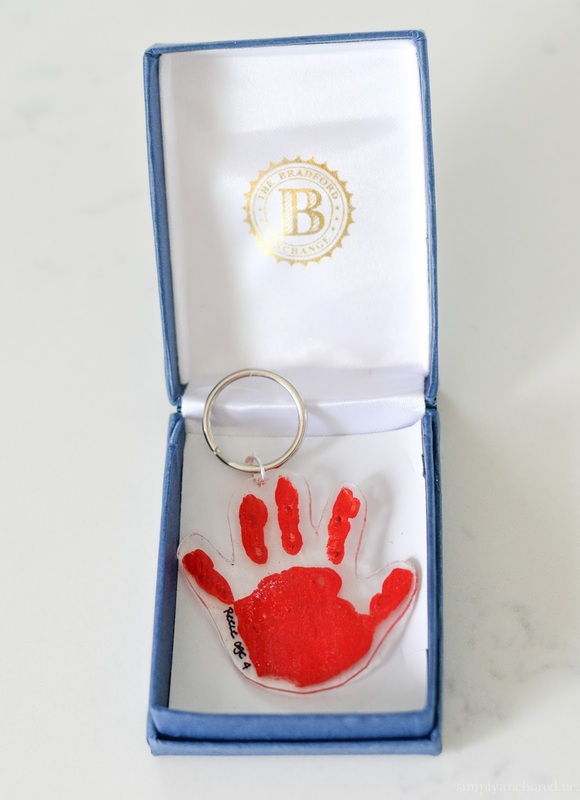 But what I do also hate is that I am missing out on documenting my child's teeny hands and feet because of my loathing for body parts covered in paint. If you are like me and hate painting hands, have no fear! 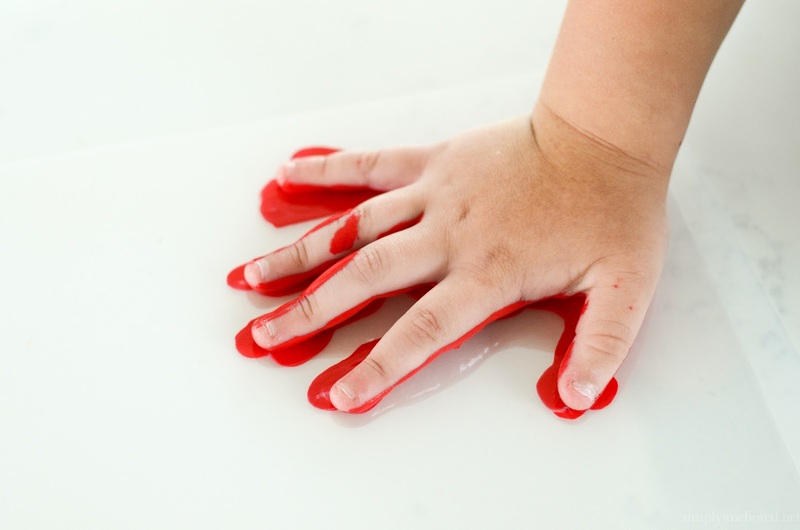 This is a SUPER SIMPLE and an extremely NON-MESSY activity! When trying to come up with unique Father's Day gifts that didn't include bags of chocolate and grilling, it seemed that all my Pinterest results had some sort of body painting. 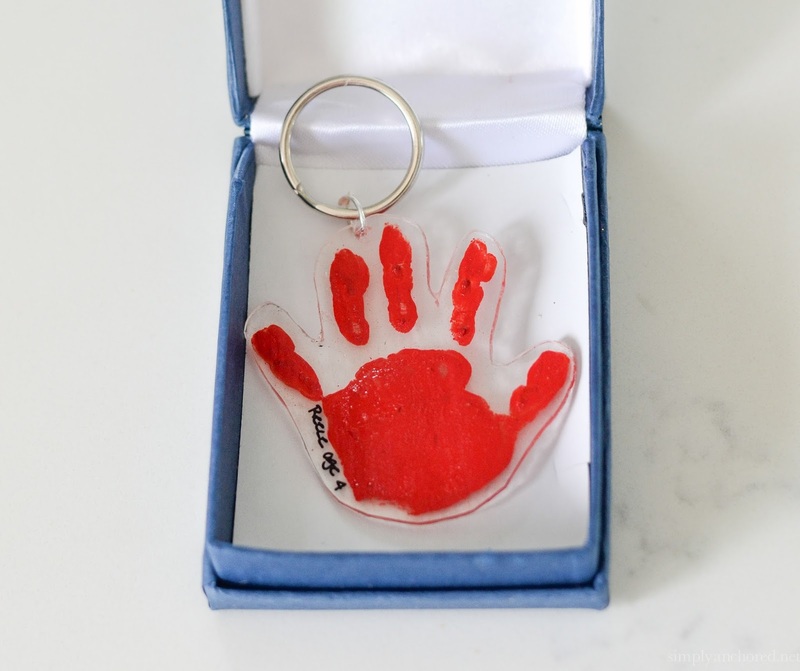 While scrolling through the endless DIY gifts, my 4 year old son was looking over my shoulder and saw mini hand print key chains and he desperately wanted to make some. So as any mother would do when faced with those big watery blue eyes staring up at you, I loaded him up in the car and ran 45 minutes to the craft store to gather all the supplies to make these little cuties! If you have a chance to grab the materials a head of time, it would make the activity a lot easier. Especially if you are obsessed with Amazon Prime like I am. You can get everything you need on there. The reason I mention this is because I had to travel to three different craft stores, the furthest being 45 minutes away from my house, to get the Shrinky Dinks plastic sheets you need. Apparently they are very hard to find in stores because they went out of style along with Lisa Frank and Beanie Babies. First things first, get your wee-one, roll up their sleeves and pre-heat the oven to 325º. While the oven is pre-heating, set out what you need. 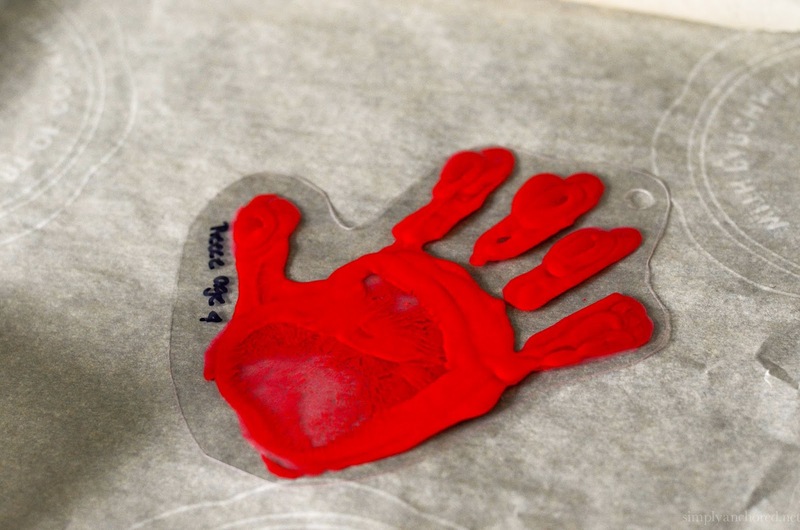 You'll need a sheet of Shrinky Dinks, the crystal clear ones are the best for this activity. Acrylic paint, I used Apple Barrel Acrylic Paint and found that it is one of the cheapest, comes in so many different colors, and cleans up easily. You will also want a paint brush, and Mod Podge with a gloss finish to seal in the paint . If you are turning these into key chains then you will also want key rings and jump rings . 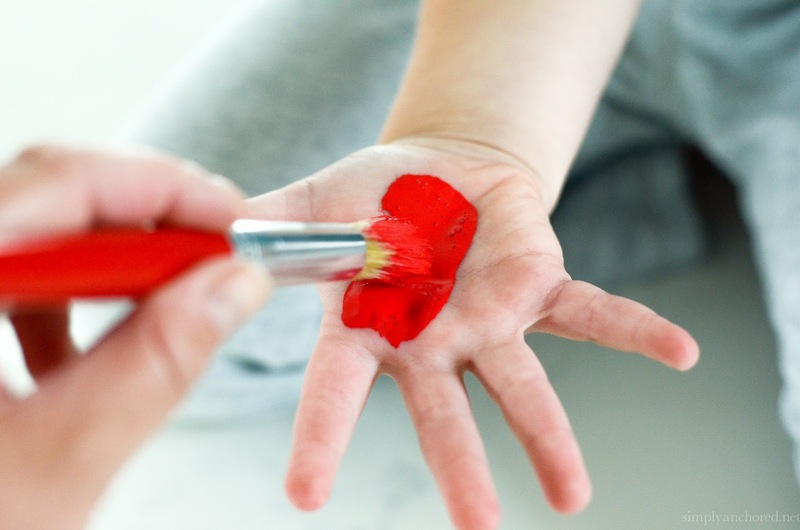 While the oven is pre-heating and you have all your materials out, you want to start by painting a thick layer of pain on your child's hand. This paint, if painted in a thin layer, will dry too quickly to transfer to the Shrinky Dinks plastic sheet. So glob it on! 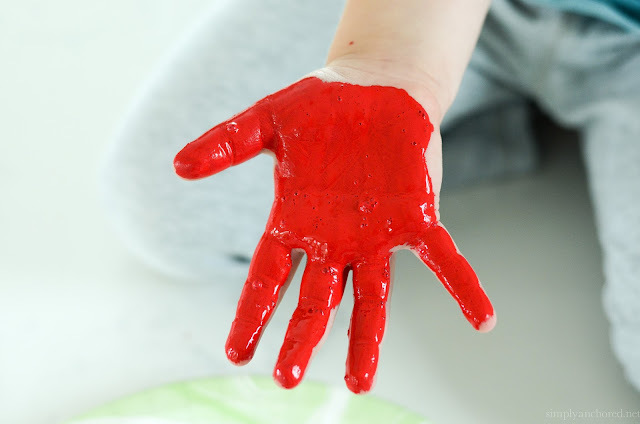 After removing their hand, go ahead and wash the paint off their hands. No sense in leaving them there to sit with paint on their hands ready to grab numerous surfaces! See, my paint-phobic side is showing. If there is a small smudge just wet a paper towel or q-tip and wipe it up! Once their hand is squeaky clean, use a sharpie and write their name and age (or any thing you want) next to the hand. Then use a pair of scissors and cut out an outline around the hand. When cutting you want to leave about 1/4" border around the hand and a bump between the middle and ring finger to be able to hole punch it. 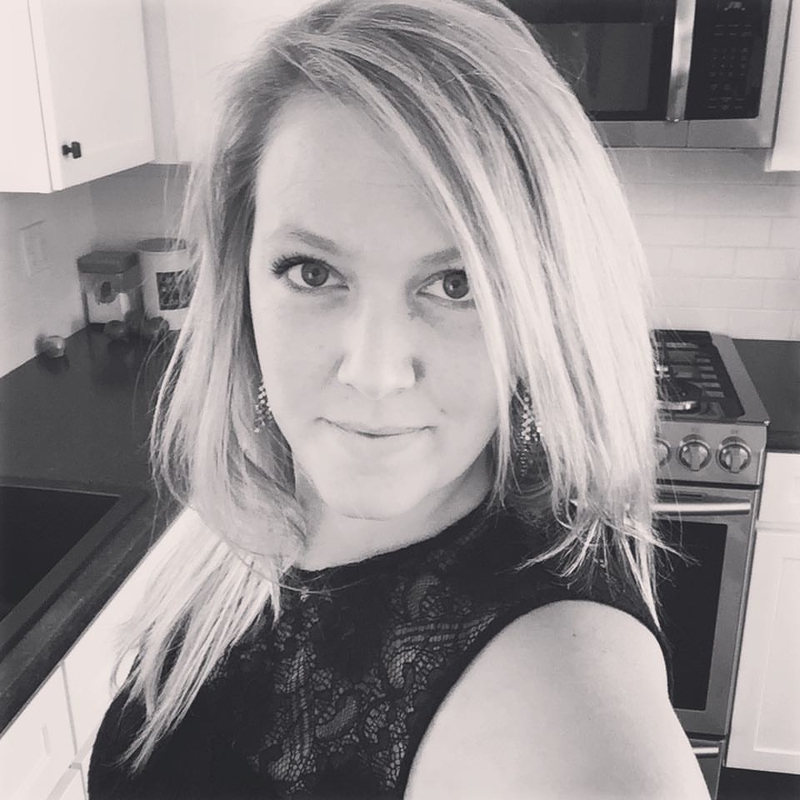 Once the hand is cut out, use a single hole punch, or if you're like me and only have a 3 ring hole punch - just slip the bump you cut out under one of the punches. You want to make sure you punch the hole before shrinking it in the oven, as the hole will shrink down as well and fit perfectly with the key ring. 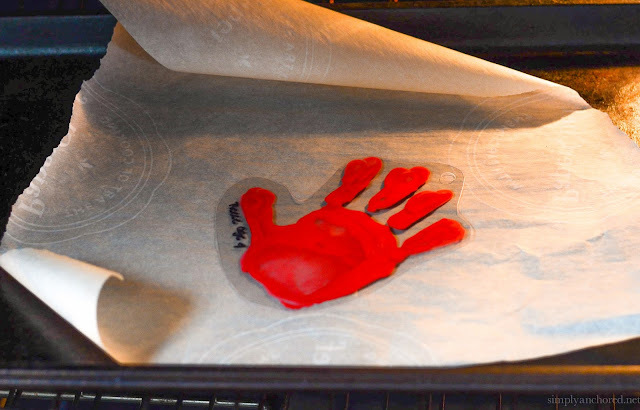 Line a baking sheet with parchment paper or aluminum foil and place the plastic hand, paint side up, on it. Bake it for 1-3 minutes, following the directions on the Shrinky Dinks package. DO NOT FREAK if you see it start to move and twist. It should lie back down flat in a minute or two. If you do see that it's shrinking (it should shrink down to 1/3 the original size and 9x thicker) and it is not laying down flat but starting to curl, you can take a plastic spatula and gently press it down. Once it's flat (aprox 2-3 min) take it out and lay it on a flat surface to cool. Once it's cool you can place the jump ring through the little hole and attach the key ring. Then you want to use a paint brush and brush on a layer of Mod Podge over the painted side. This will help seal on the paint and keep it from getting scuffed or scratched. Let it dry. 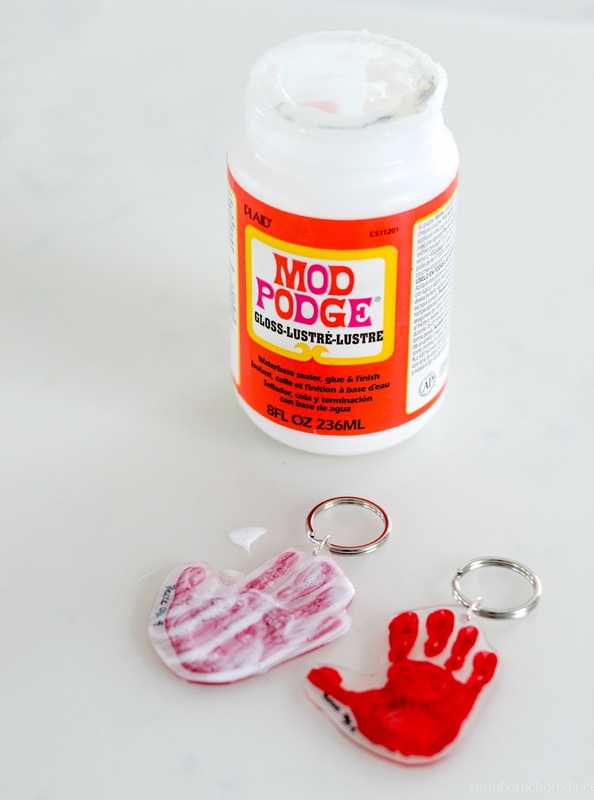 Once the Mod Podge turns from white to clear, it is safe to wrap up and give to your loved one! Since I am a very visual person, here are the items (and links) to where you can buy them! MyAssignmenthelp.com provides thesis help online at the best price in the industry. They do not compromise with the quality. All of our thesis experts know all the tricks of the trade. With nominal price our experts are available to provide you dissertation writing services help to Get Good Marks in Assignment. These assignment experts have completed there masters from top universities around the world. Understudies who are looking best project management assignment composing administration online they can just visit Students Assignment Help, Which gives online project management assignment help to both Under Graduate and Post Graduate. University college dublin students always find problem in writing assignment due to this they get help of assignment writing from our expert writers and score good in college by submitting their college assignments on time at reasonable rate. I found your this post while searching for some related information on blog search.Its a good post. HR function PESTLE analysis, you are going to struggle to perform the task. Well,hr functions analysis reduce your burden by offering affordable HR function case study help. Ireland Assignment Help to the best quality Online assignment help service for students at the most affordable cost. Our expert writers can write any type of complex assignment because they are well-versed in each assignment topic.